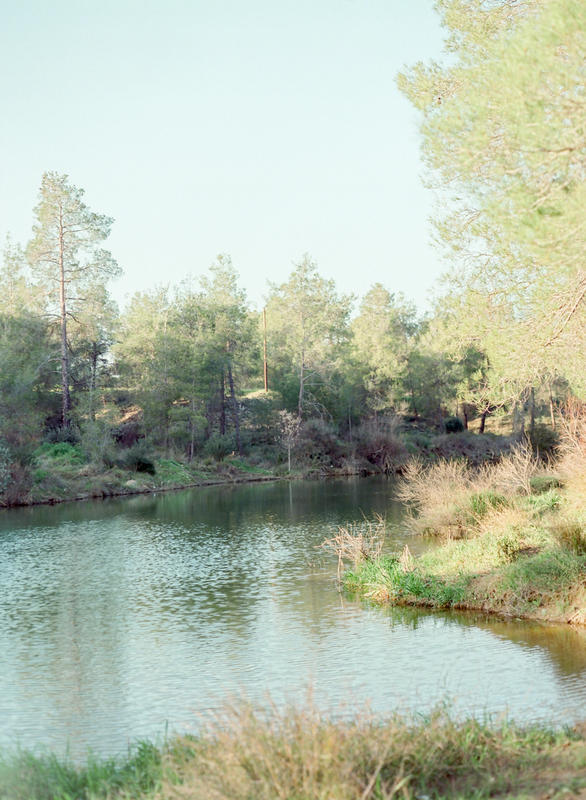 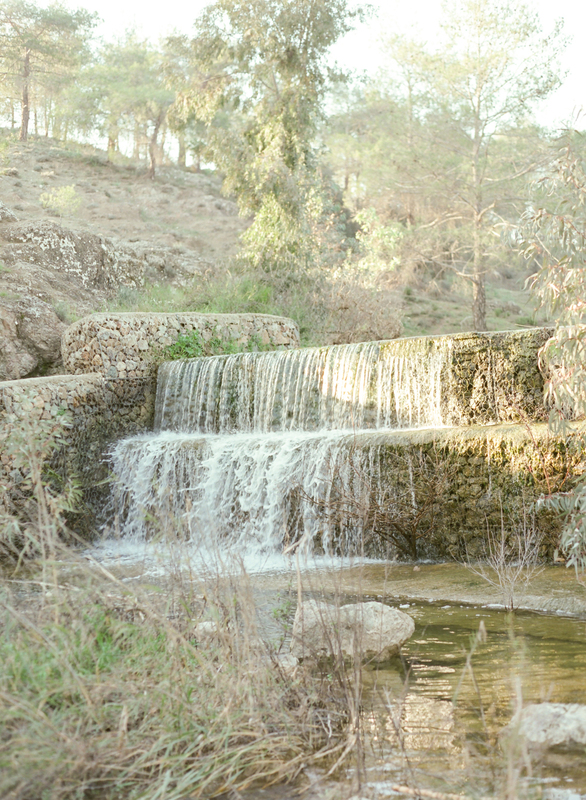 In Delikipos, a small village between the mountains near larnaca, love blooms in every fall of water and every ancient rock. 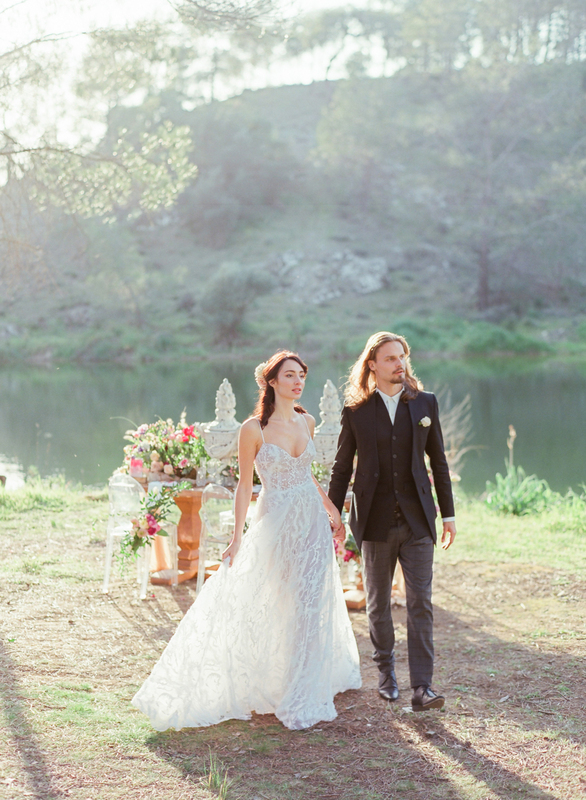 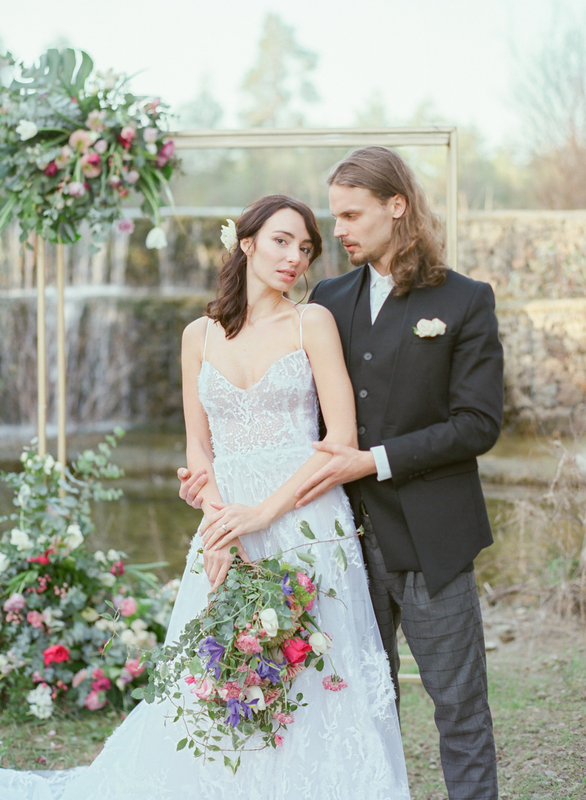 The bride appears like a vision of beauty in this intricate handmade wedding gown by Natalie Aristidou Atelier. 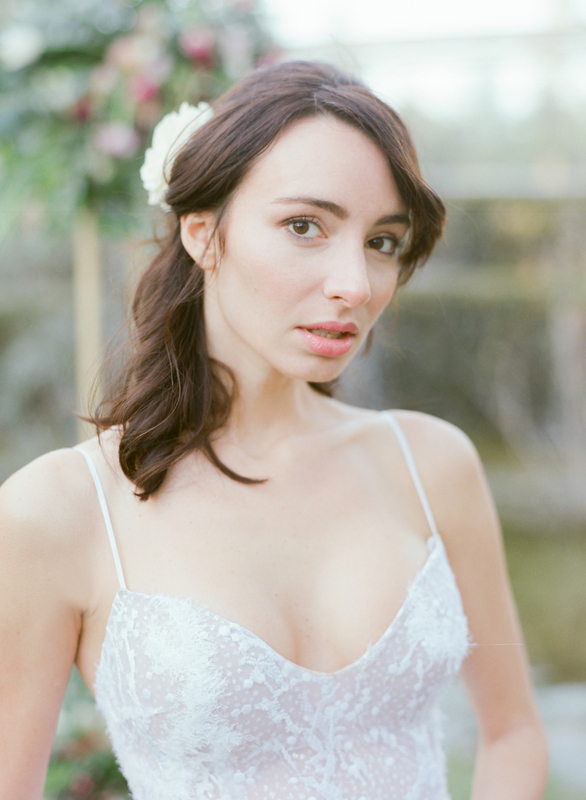 Her make up from Evelyn Mavroudi is understated and as natural as the sky above us. 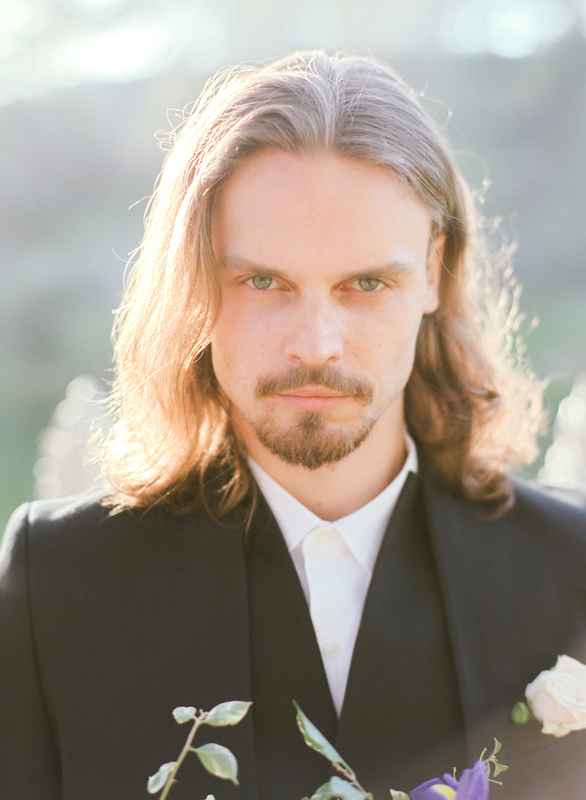 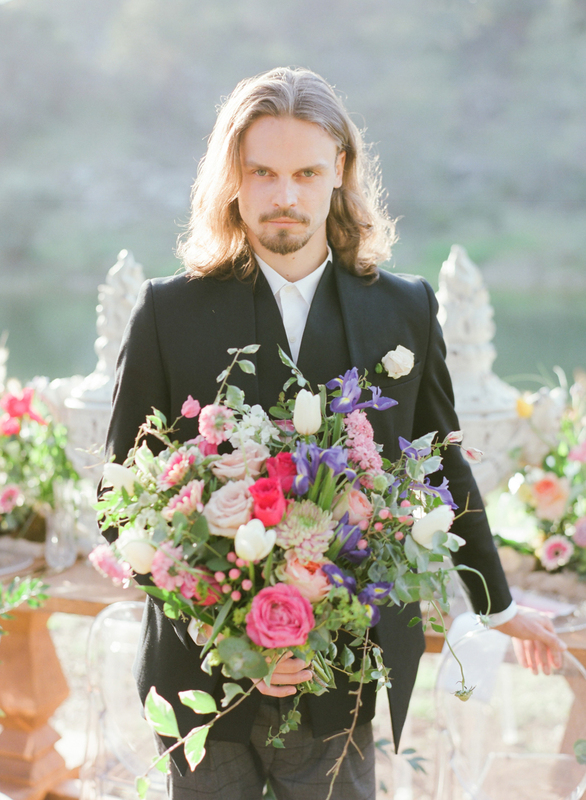 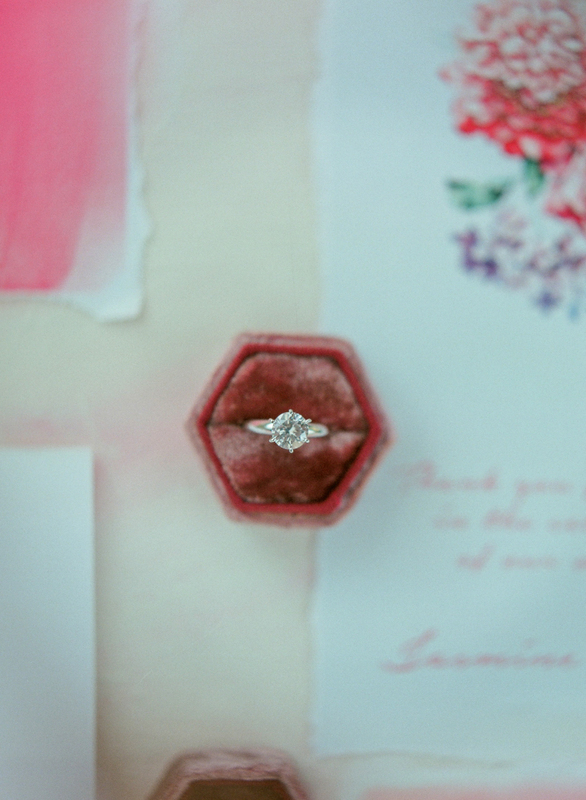 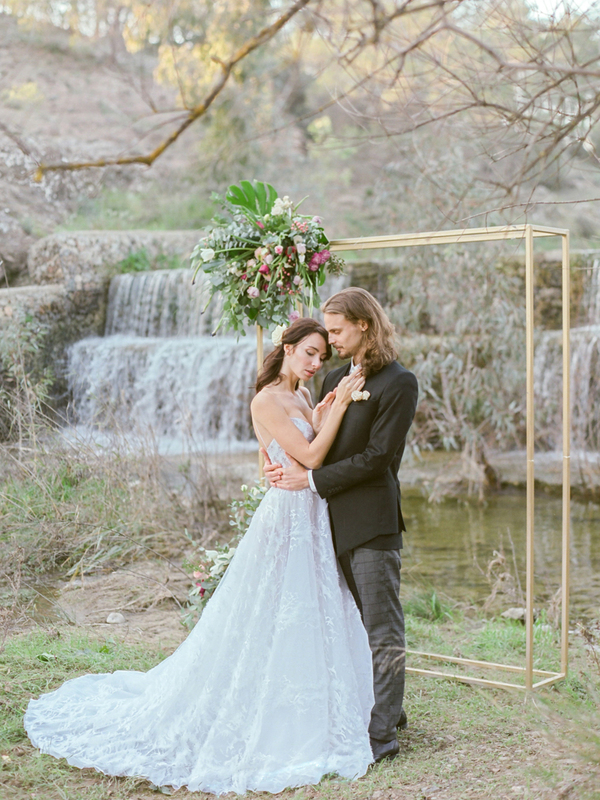 This wedding shoot is bespoke, and everything here is unique. 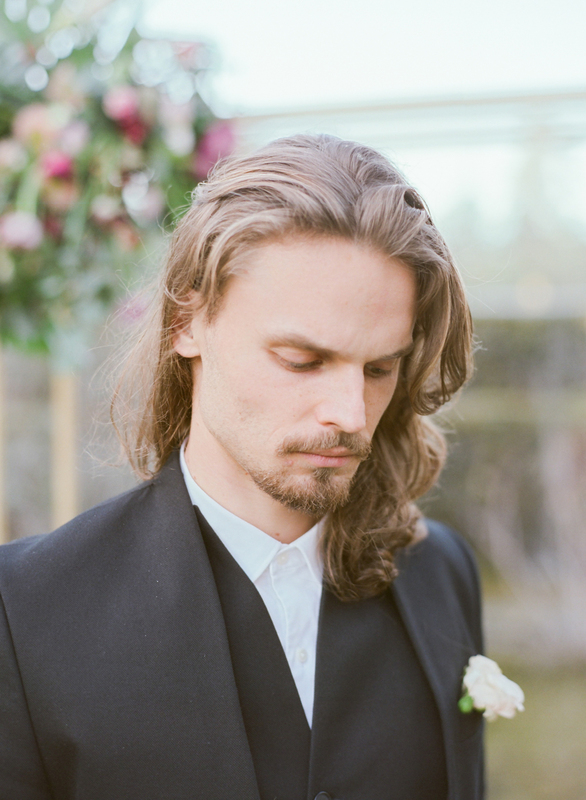 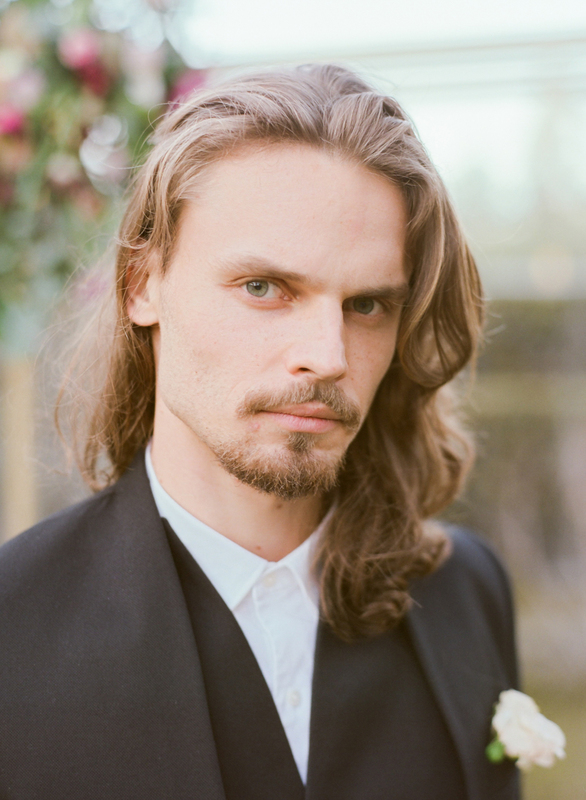 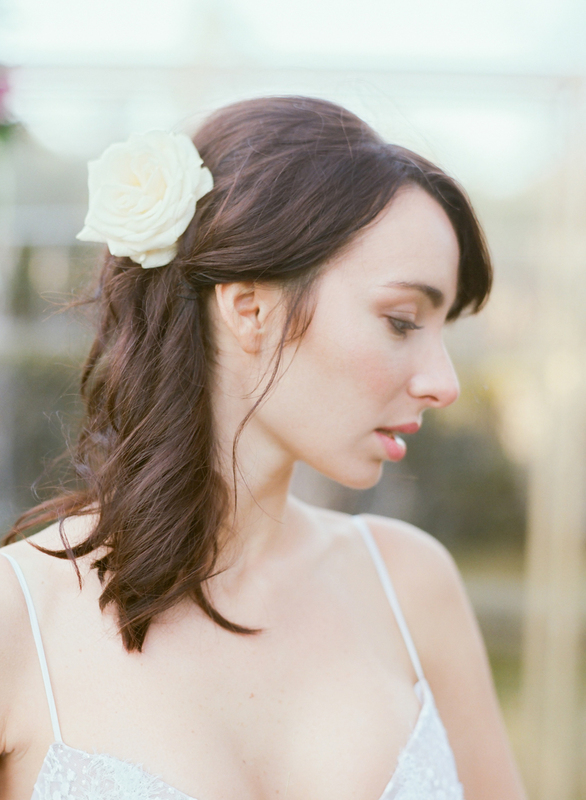 From the lovingly crafted handmade stationary and invitations by ArtBox Design to the natural effortlessly loose hairdesign by Raphael Andreou from Hairetcstudio. 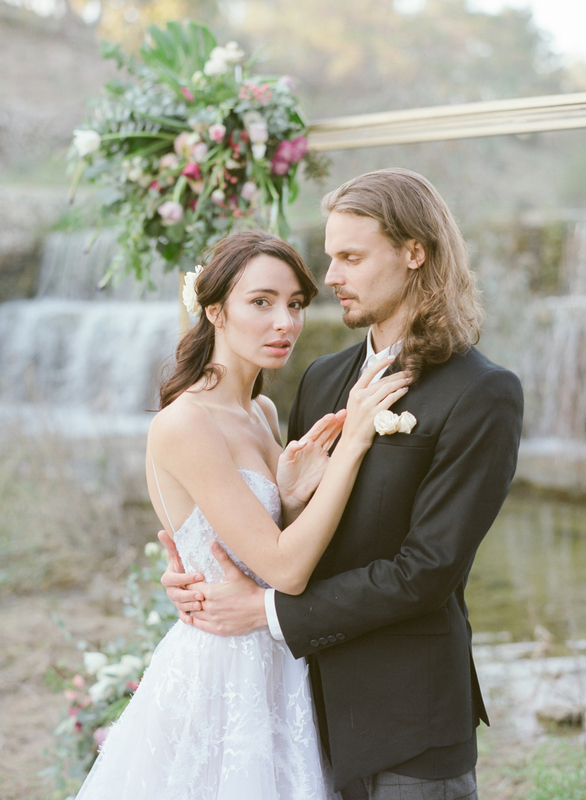 In this rugged and natural landscape dreams come true and everlasting love whispers in the air. 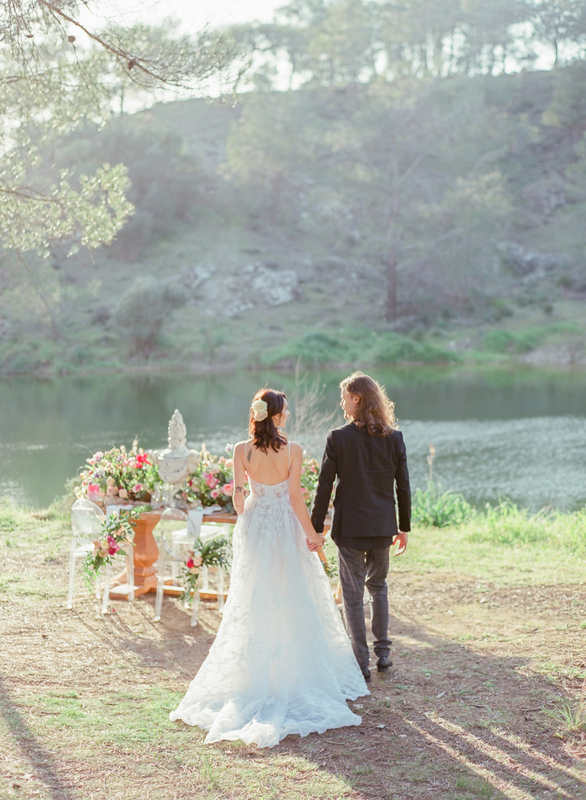 We are at one with nature here and as romance drifts in every ruffle of grass and every sway of water, we can feel futures beginning. 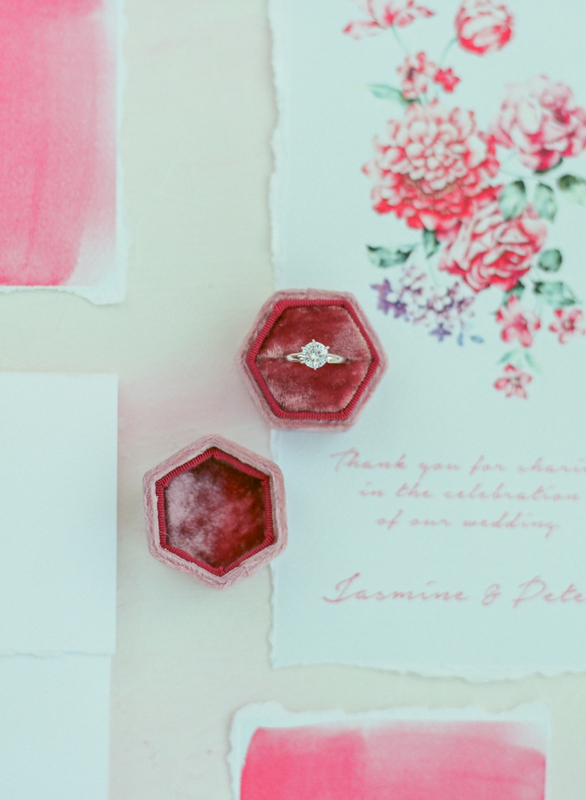 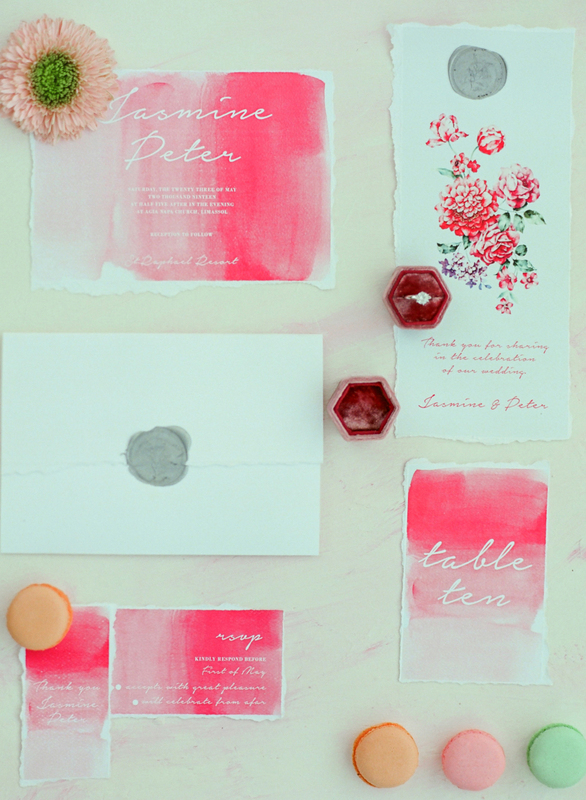 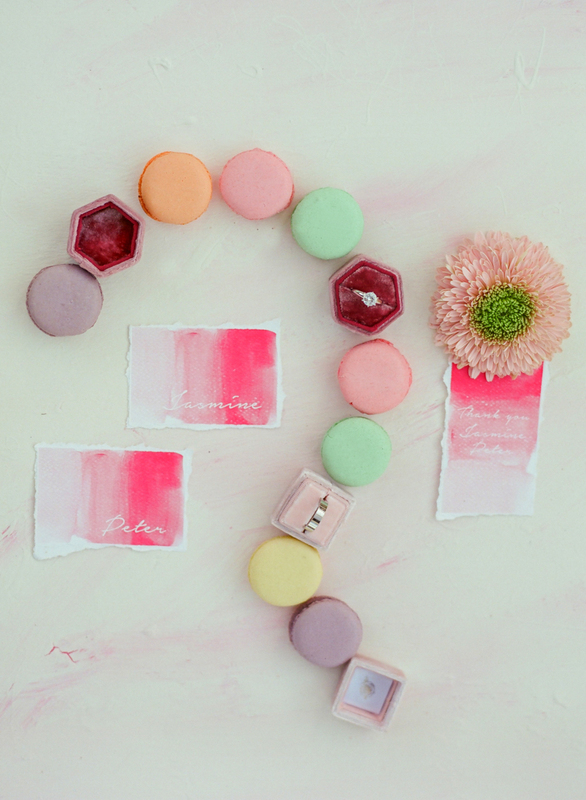 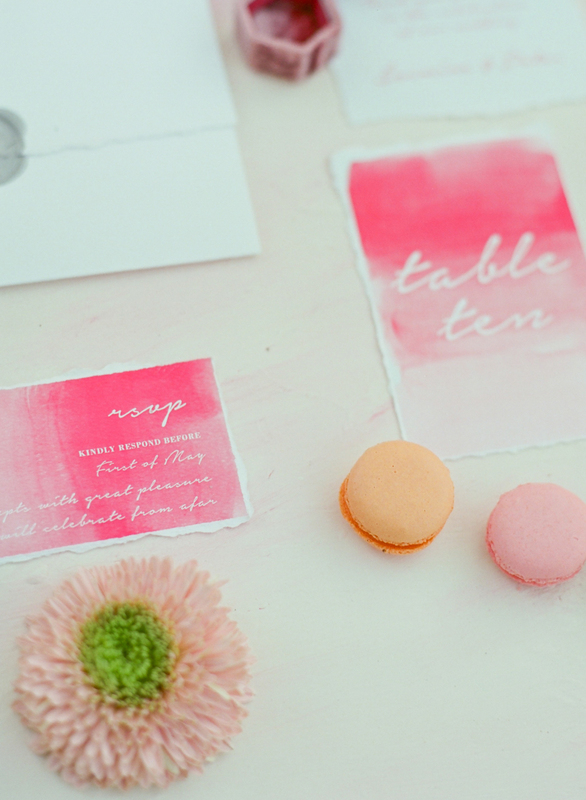 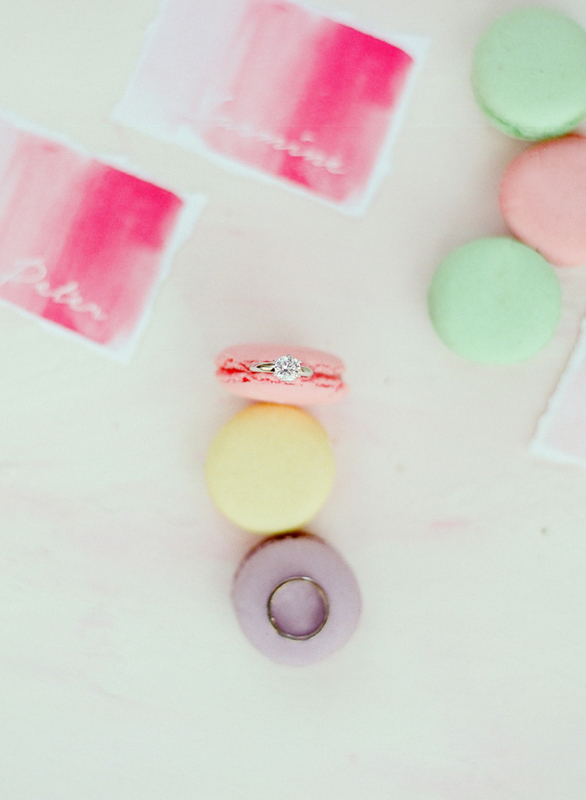 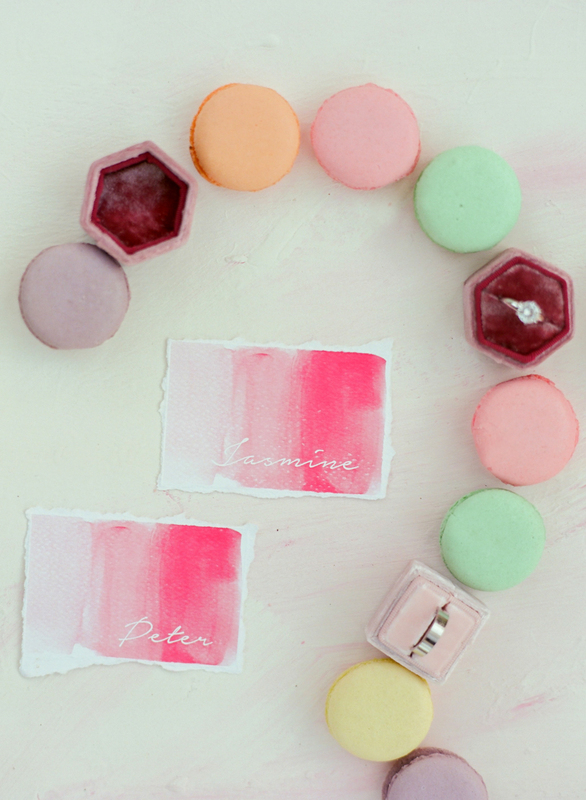 ArtBox Design detail this emotion with traditional flower designs and decadent pastel sweets. 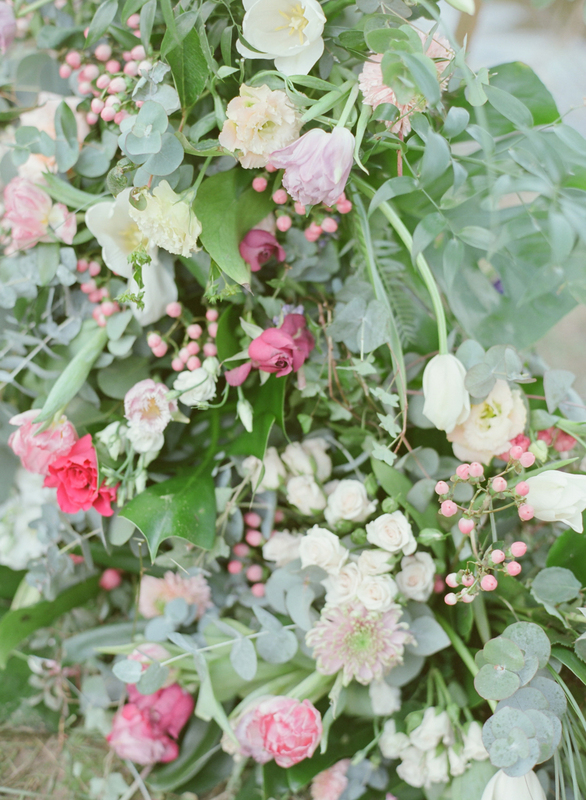 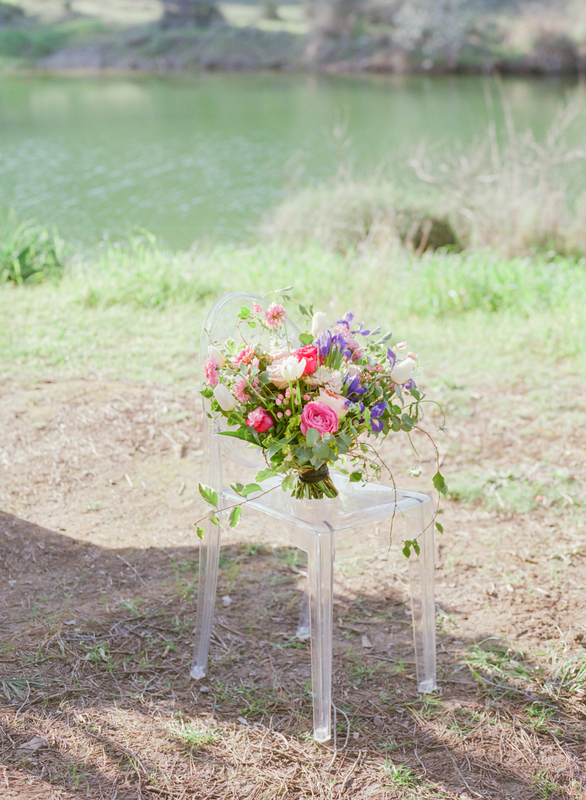 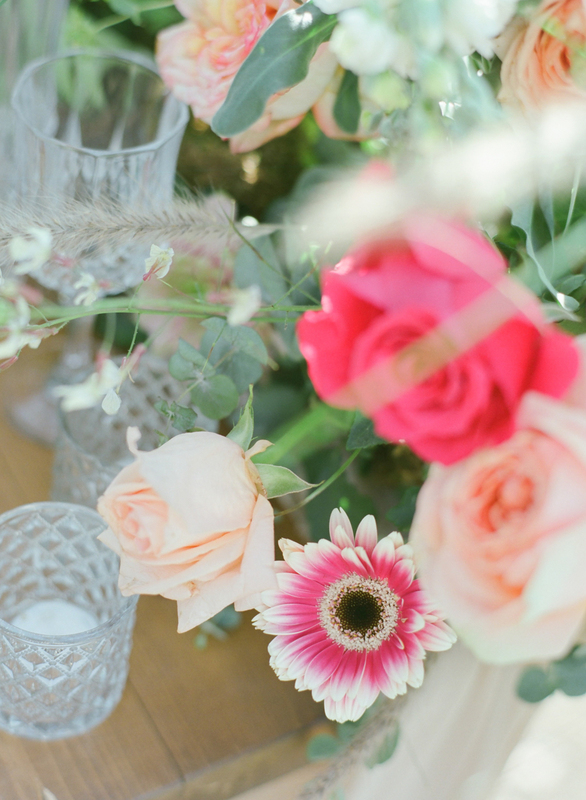 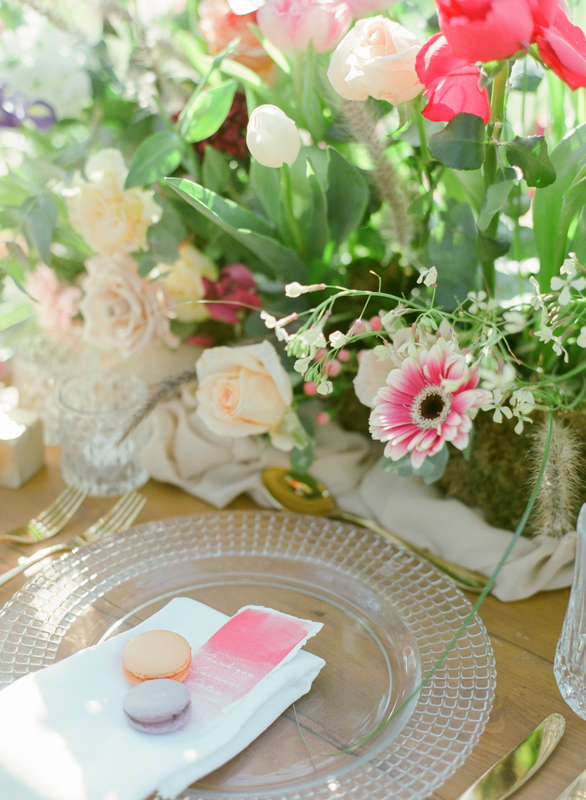 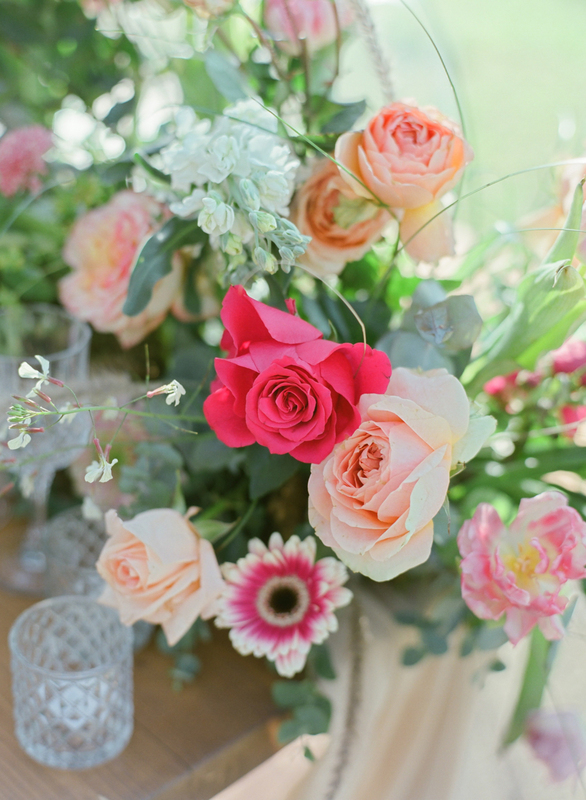 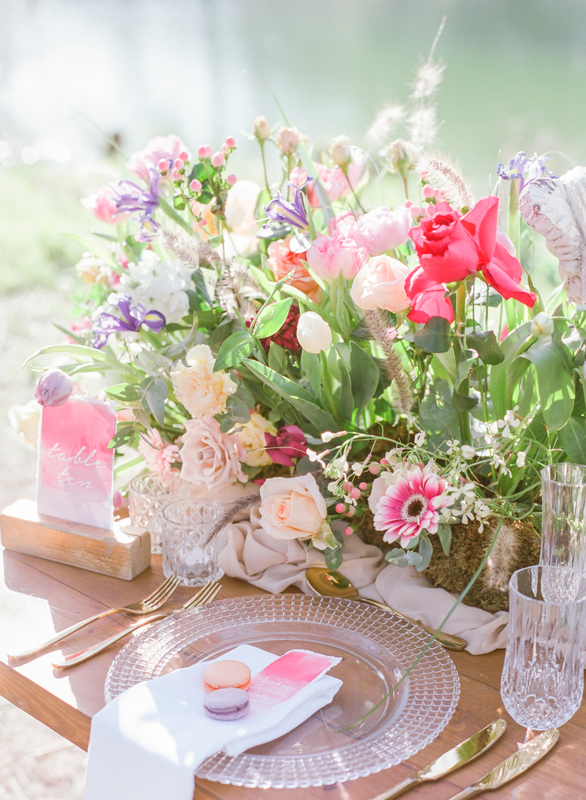 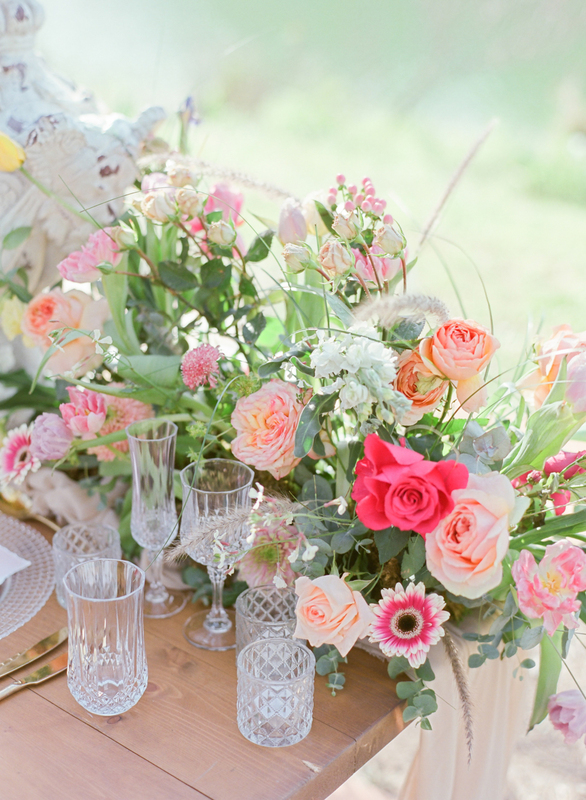 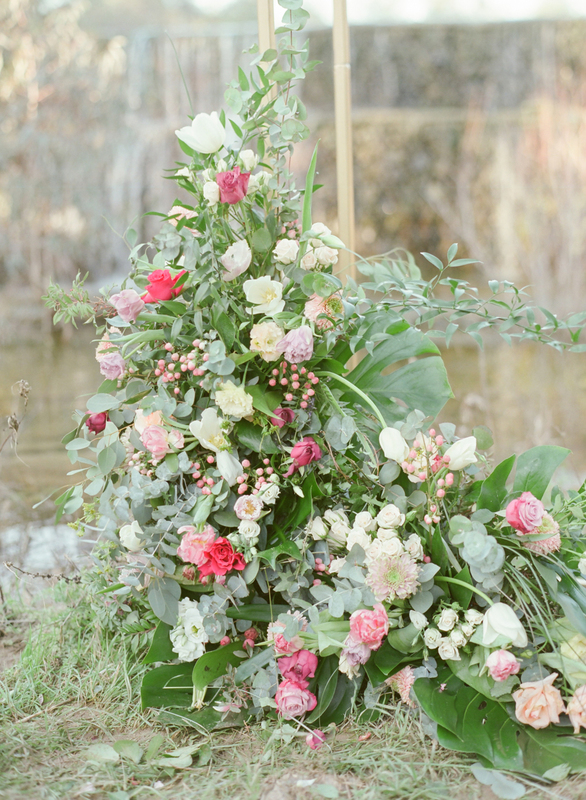 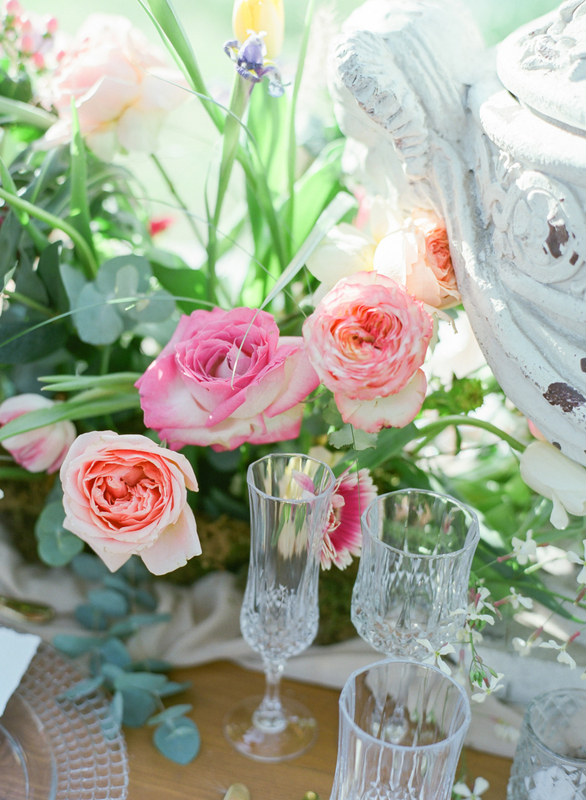 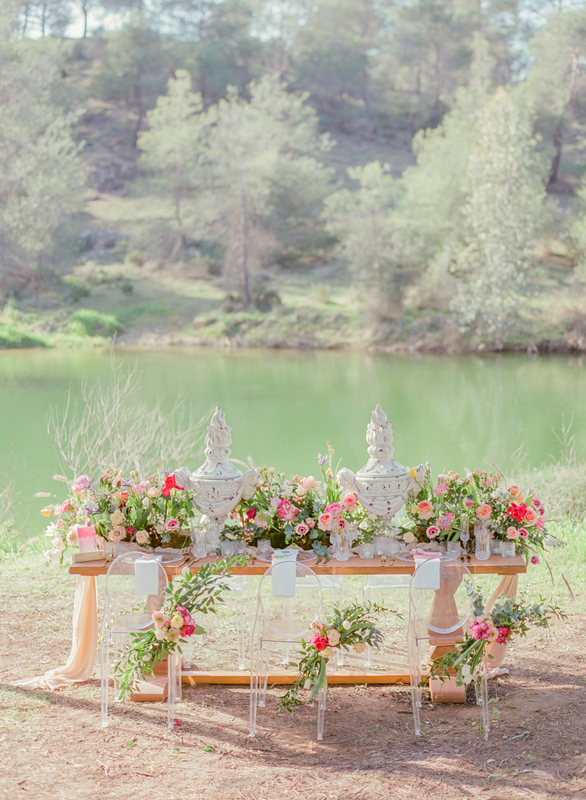 Flower displays by Luciana Event Creations bring a vibrancy to this natural setting. 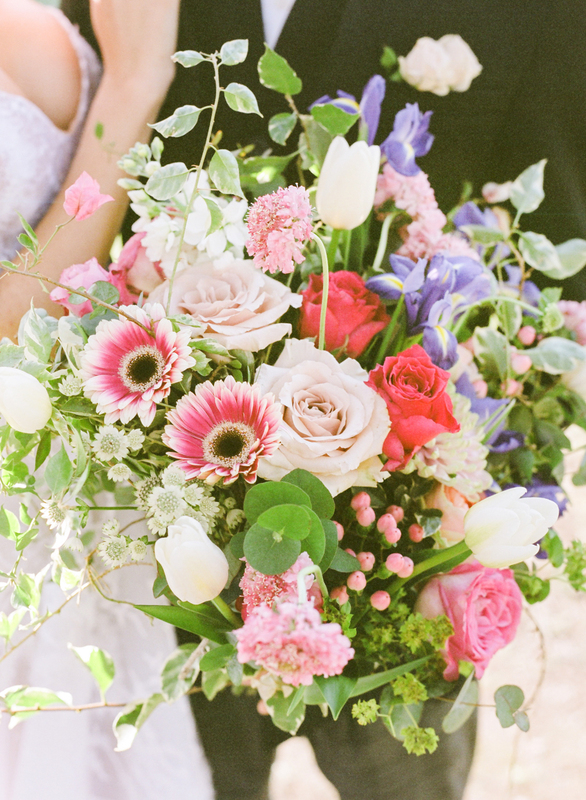 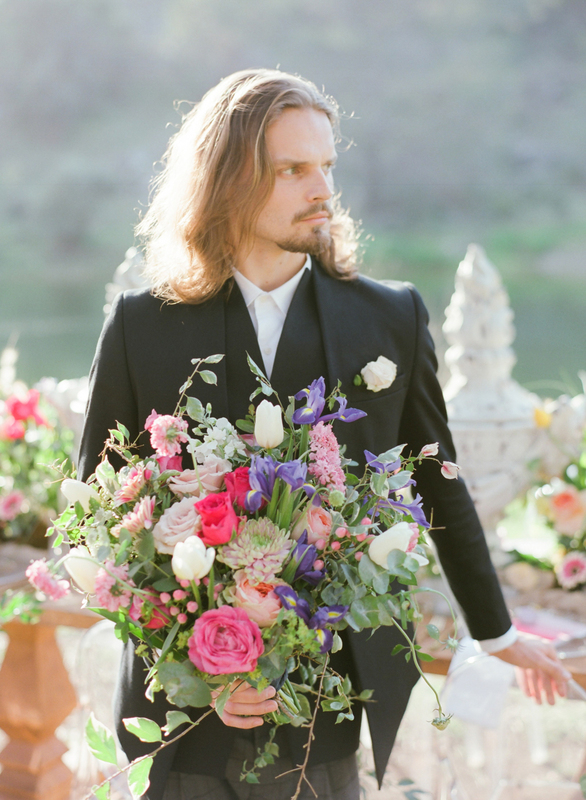 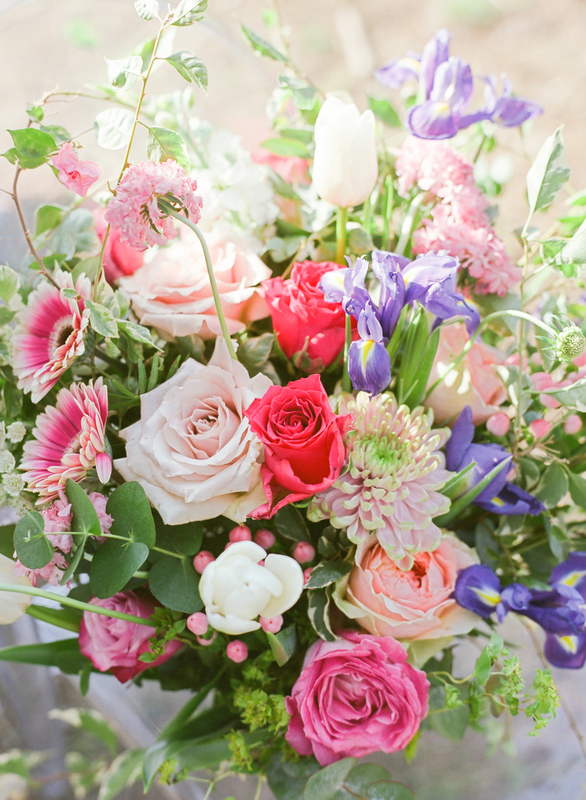 Creams, soft pinks, and heather violets burst forward with the nature and life that is everywhere. 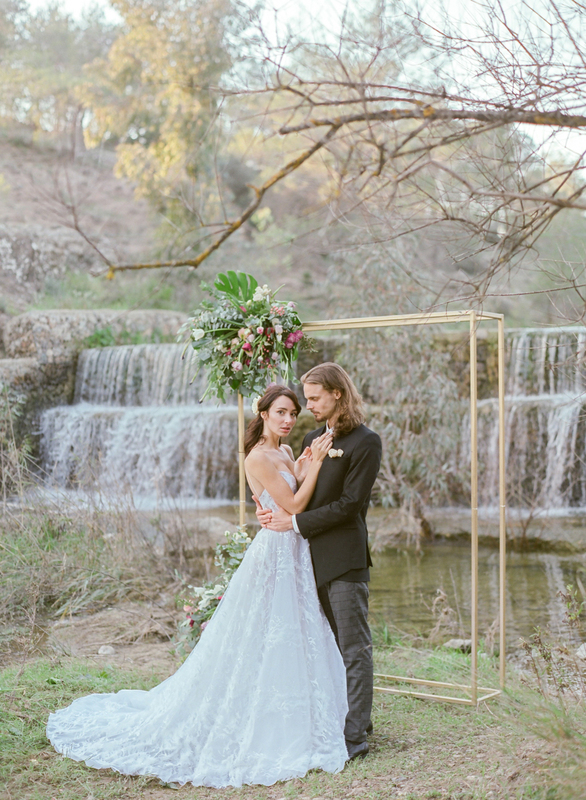 Loizos Papaioanou Jewellery set forth a simple elegant engagement ring that needs nothing more than its quality to speak, and the groom strides like a stallion in modern and relaxed attire from Square Boutique Larnaka. 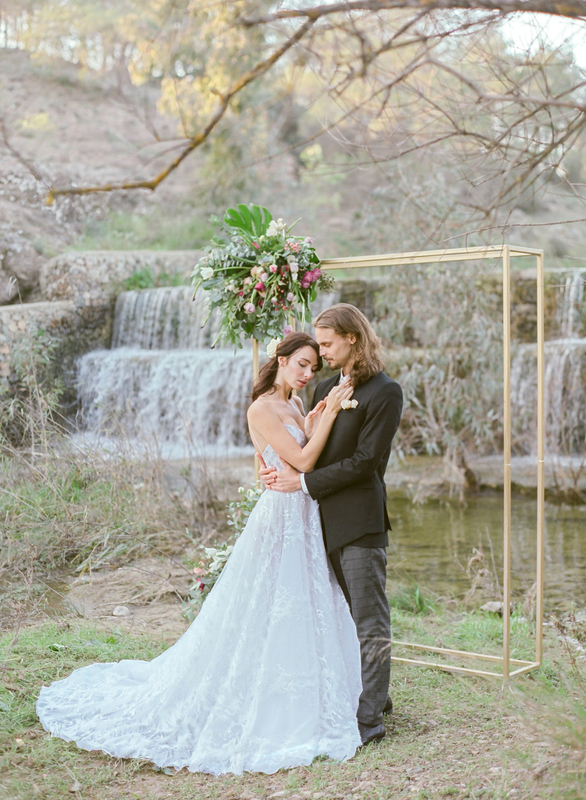 In the midst of this dream like wedding shoot the bride’s gown by Natalie Aristidou Atelier speaks of a fairy tale winter wonderland set by the sun. 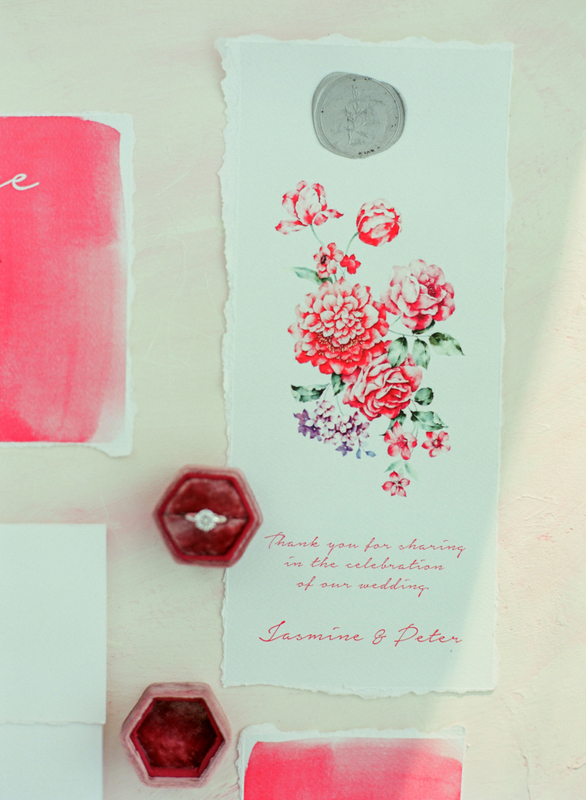 The attention to detail and intricacy of design that only experienced hands can work. 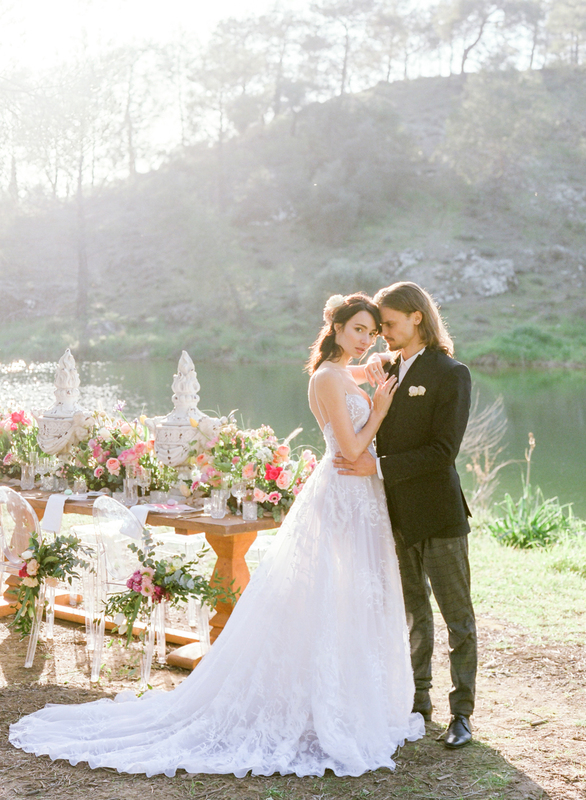 Only dreams can achieve this. 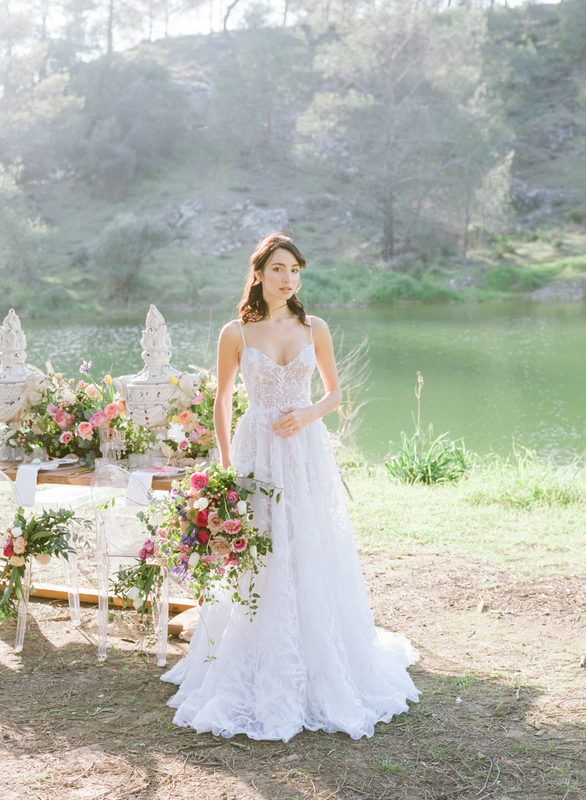 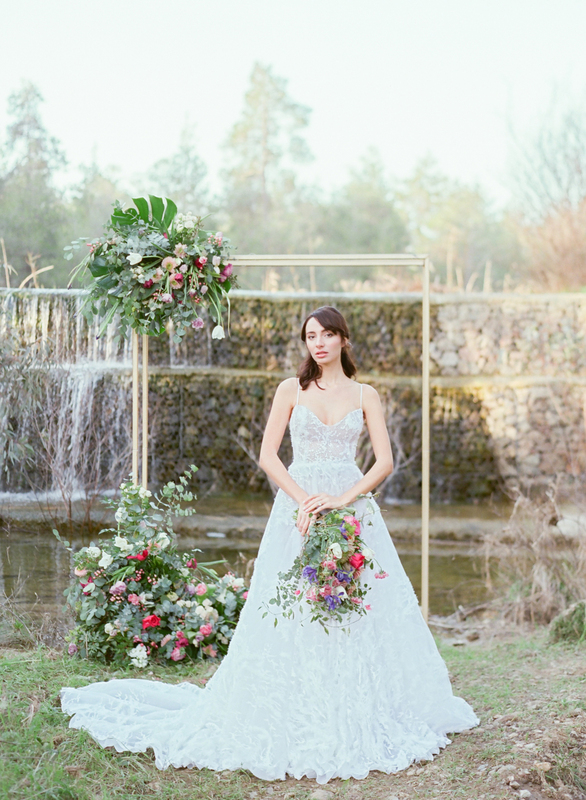 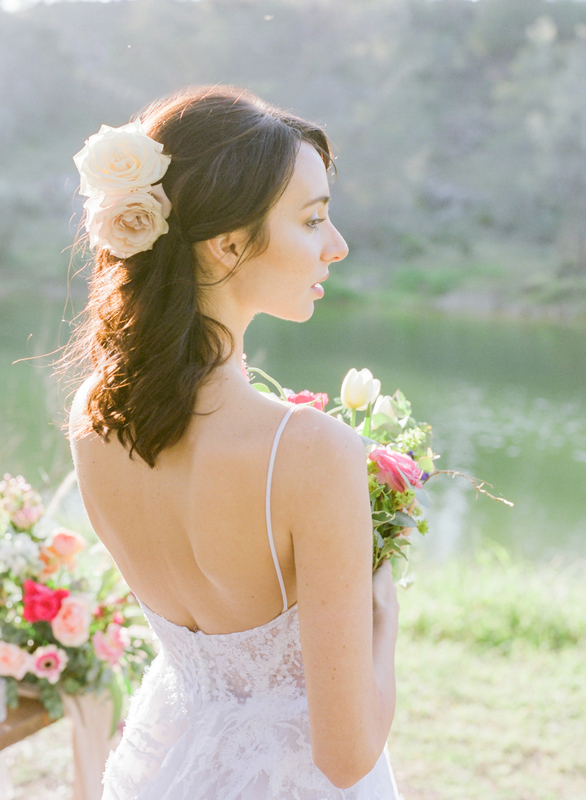 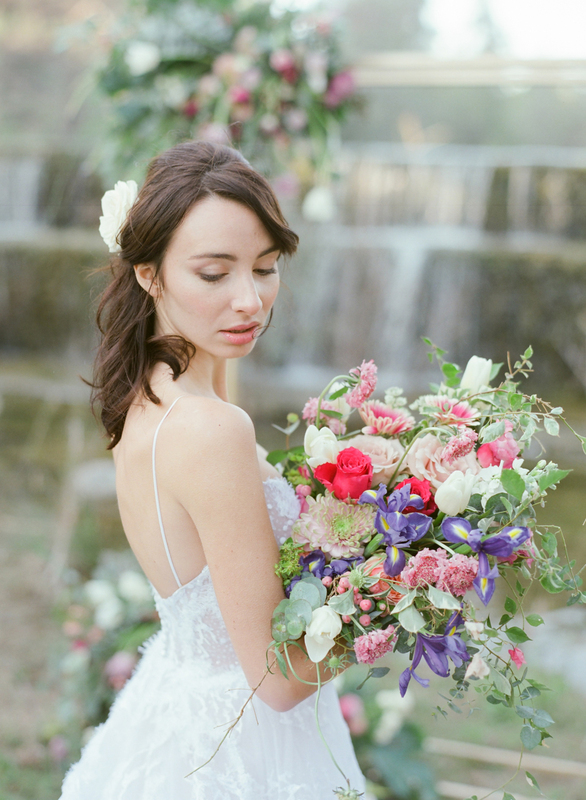 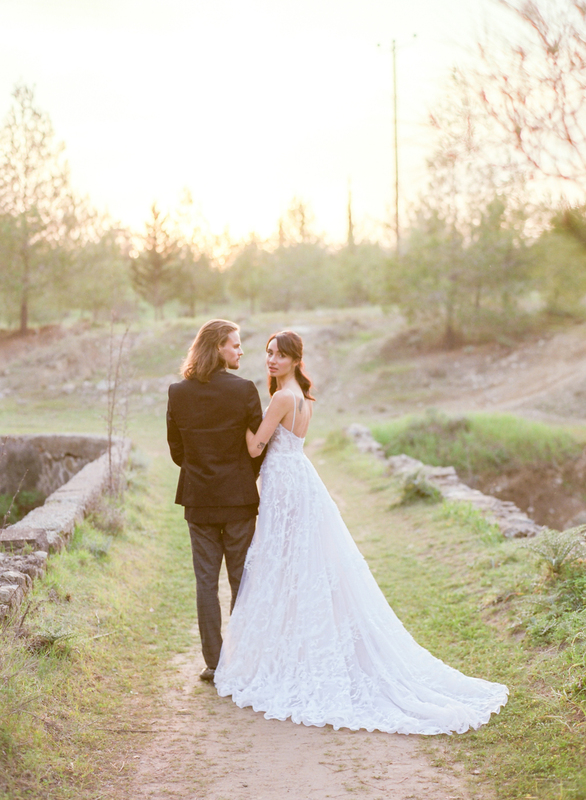 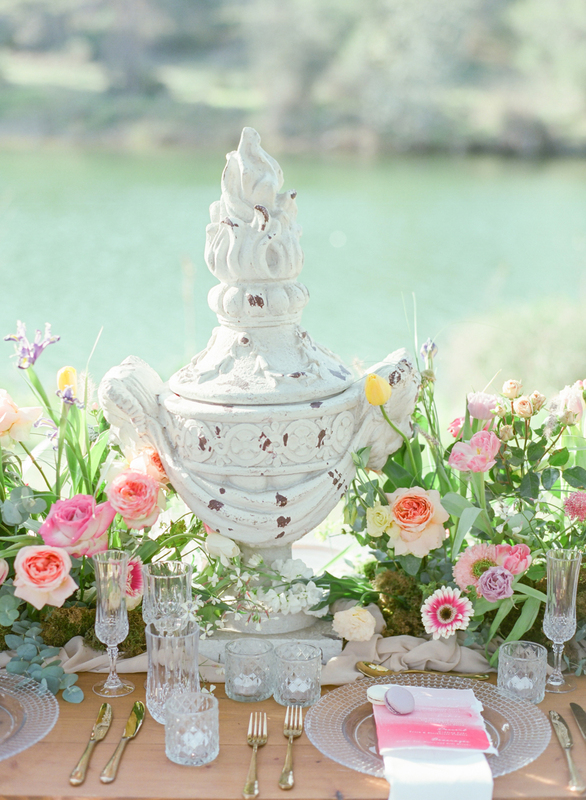 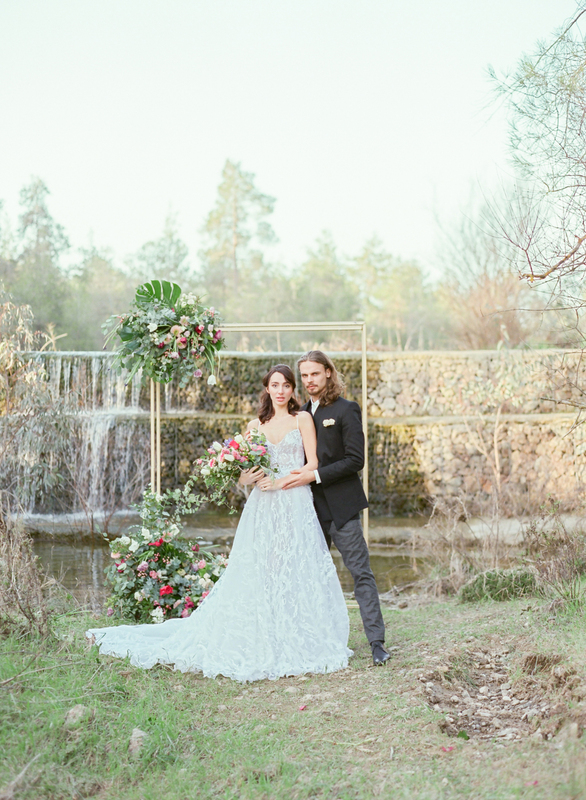 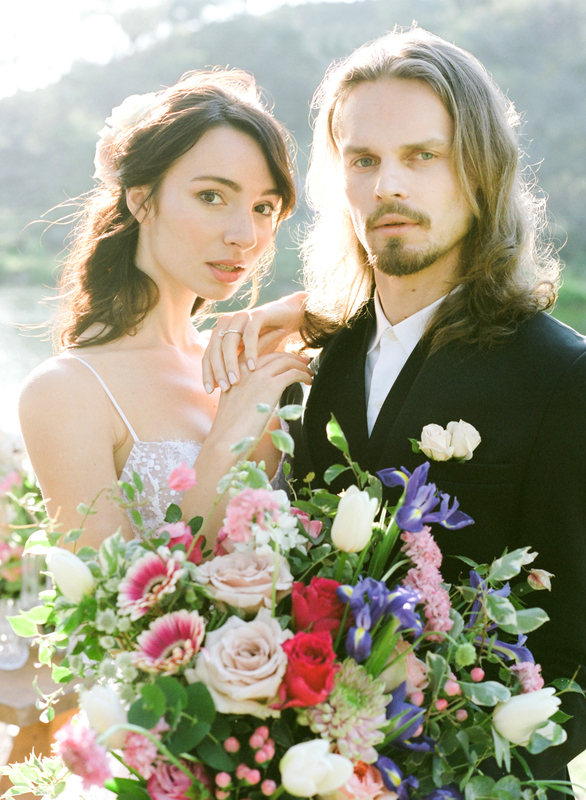 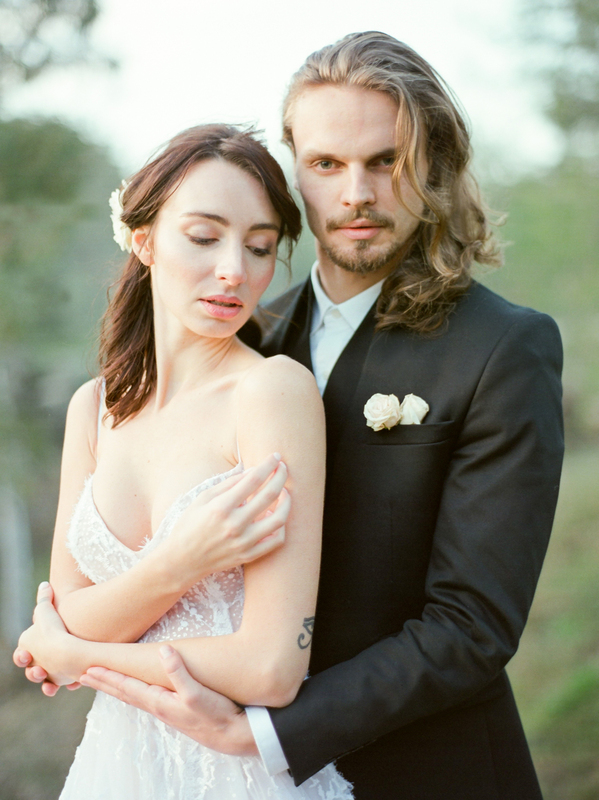 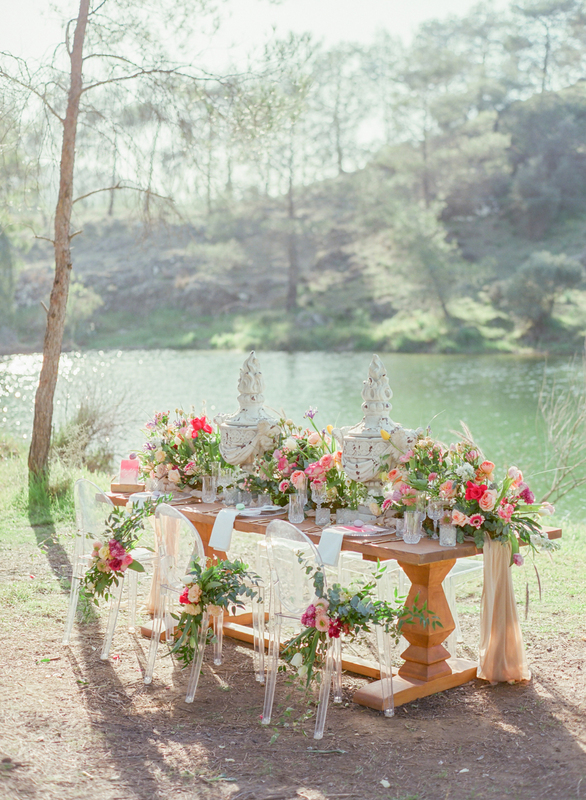 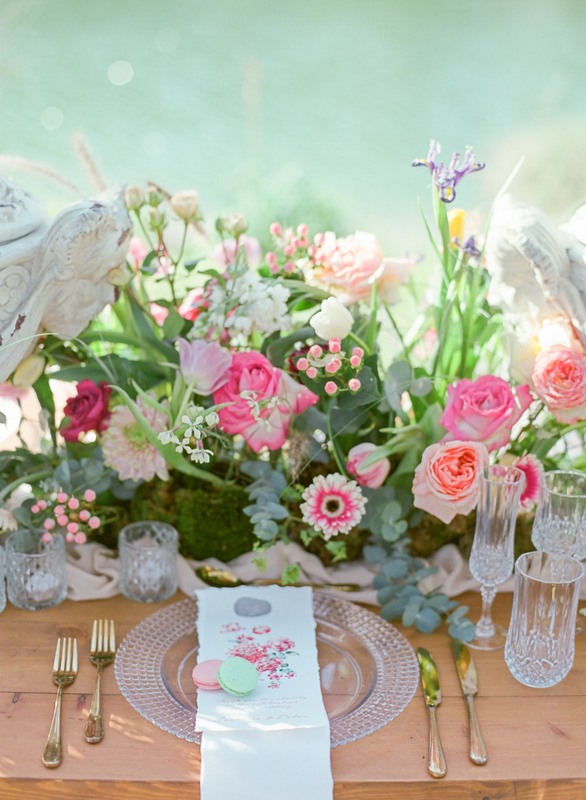 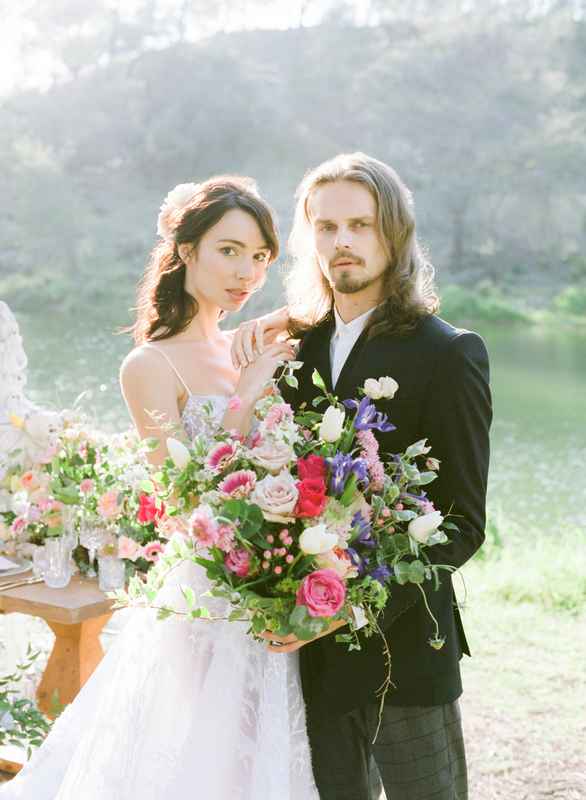 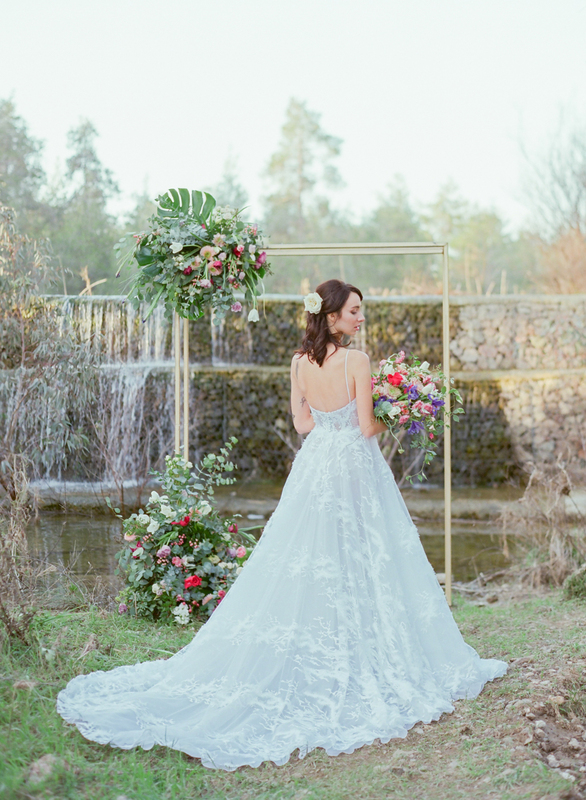 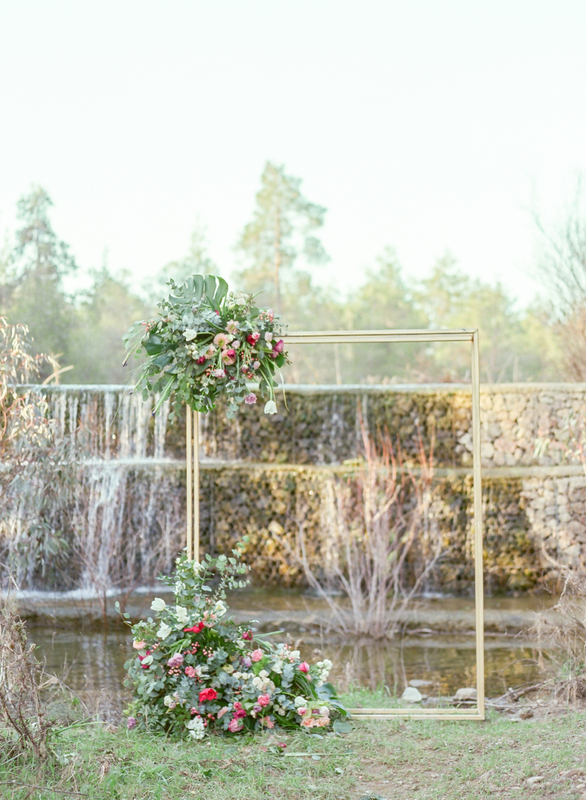 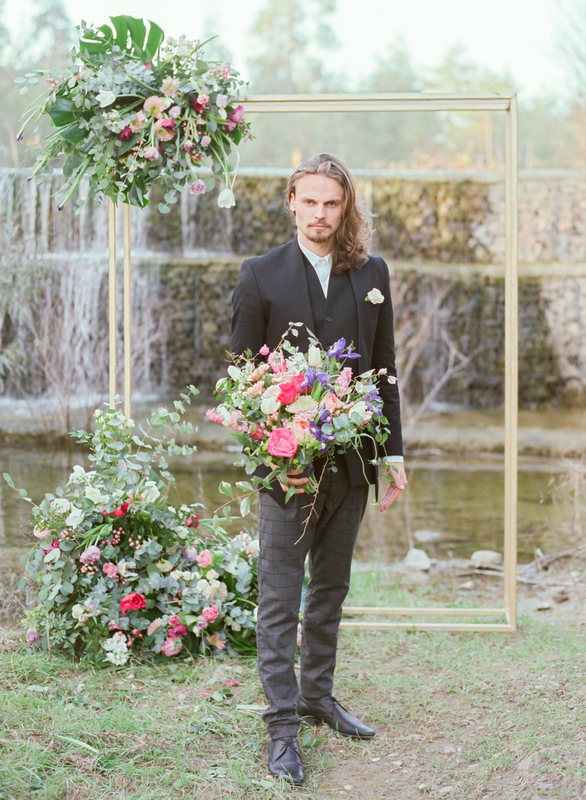 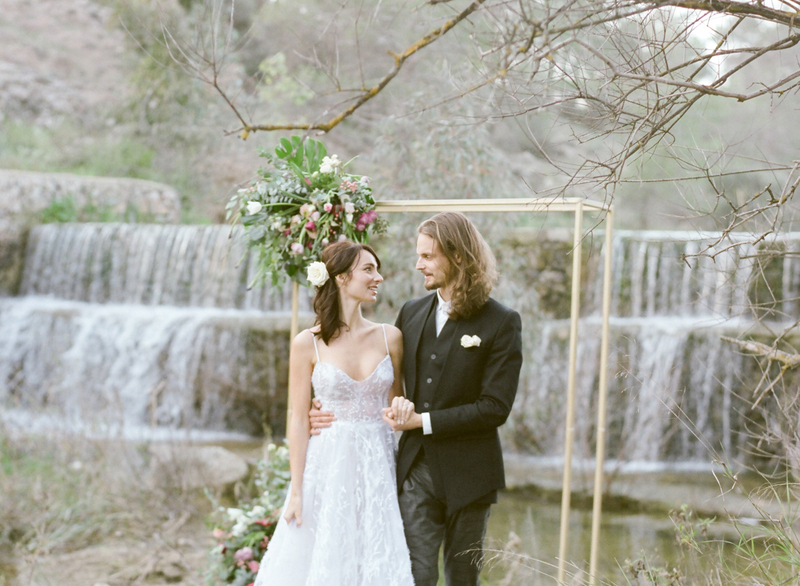 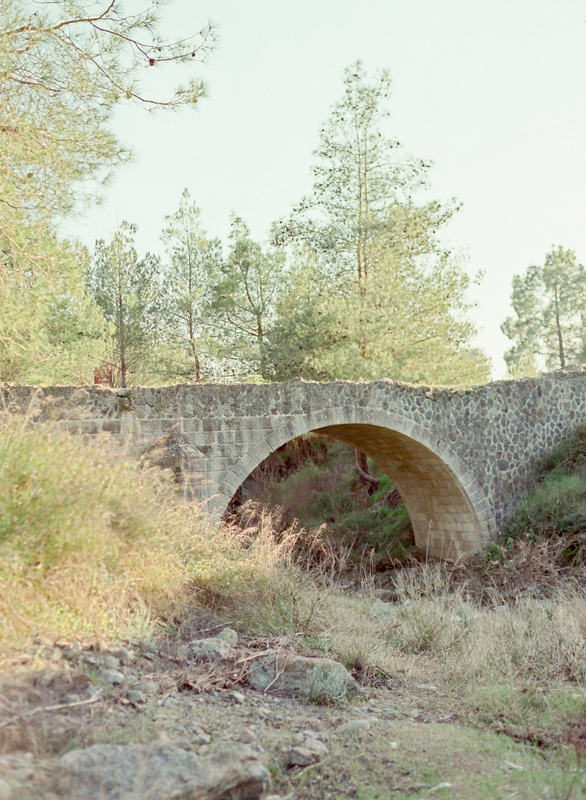 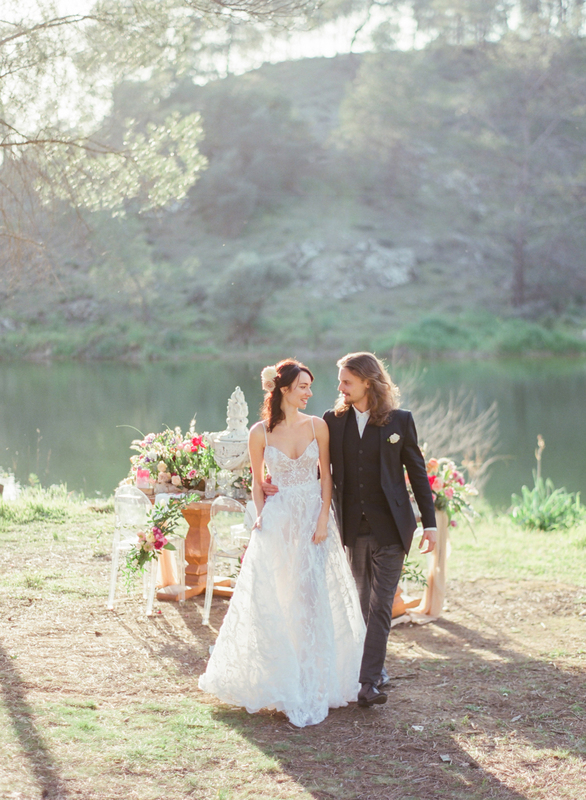 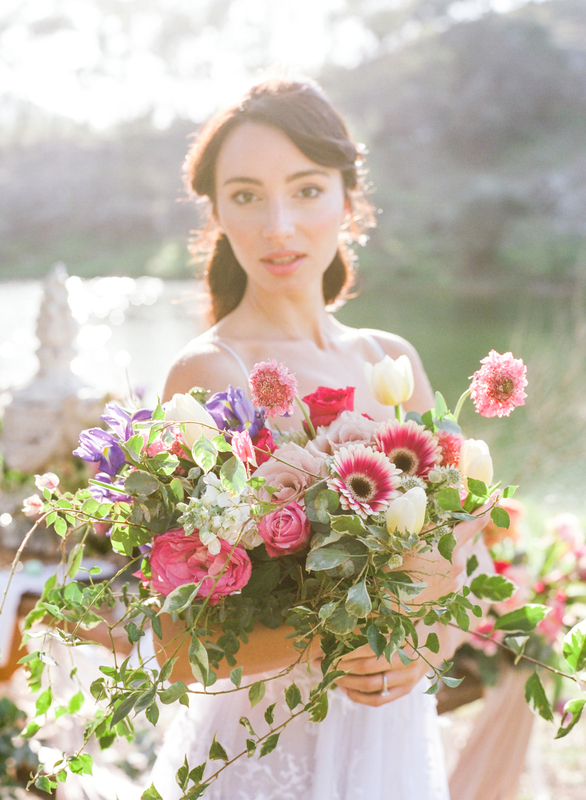 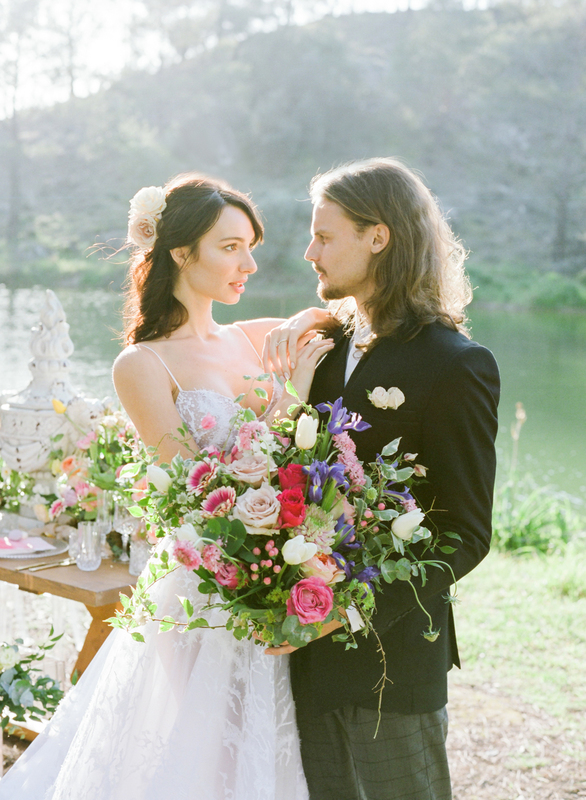 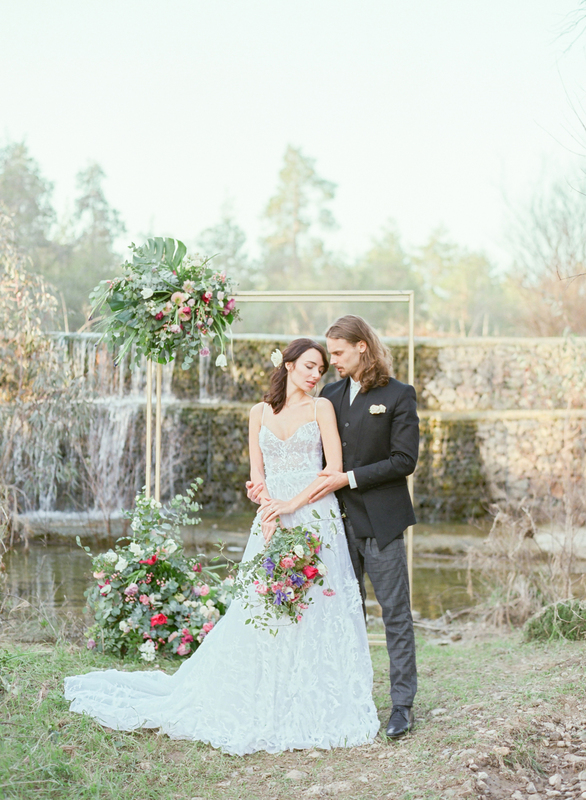 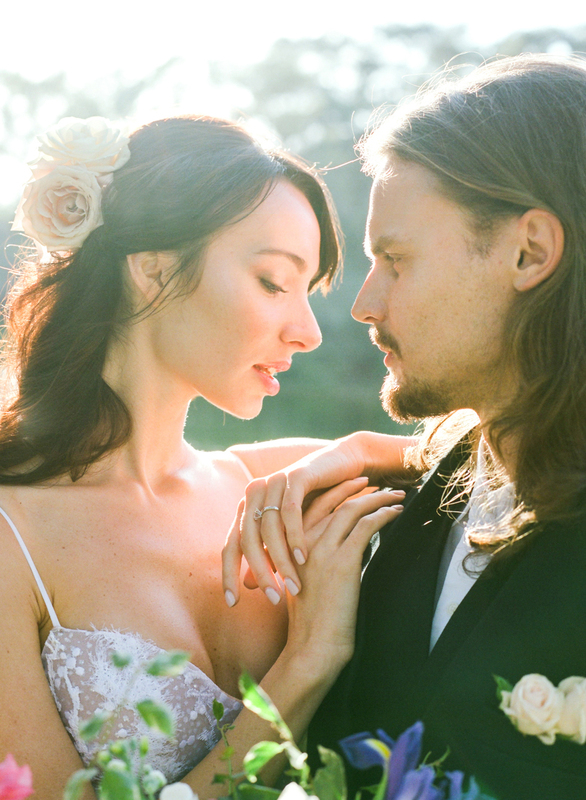 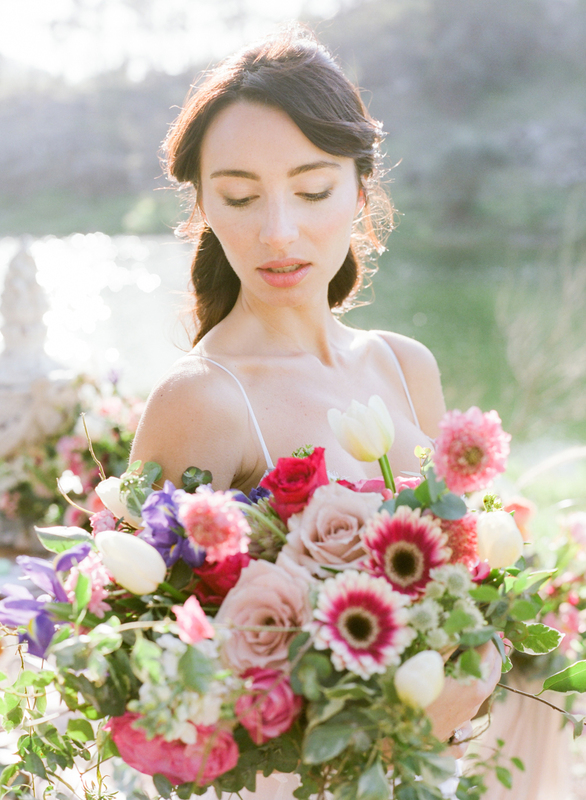 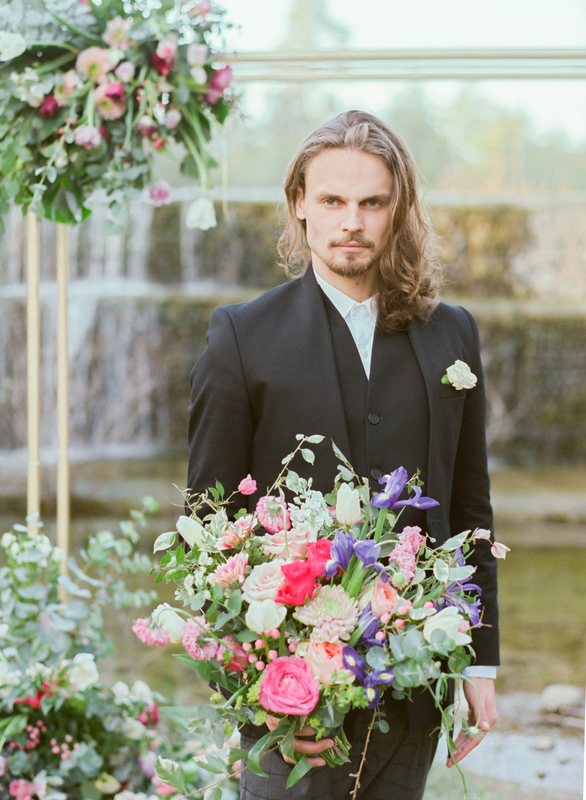 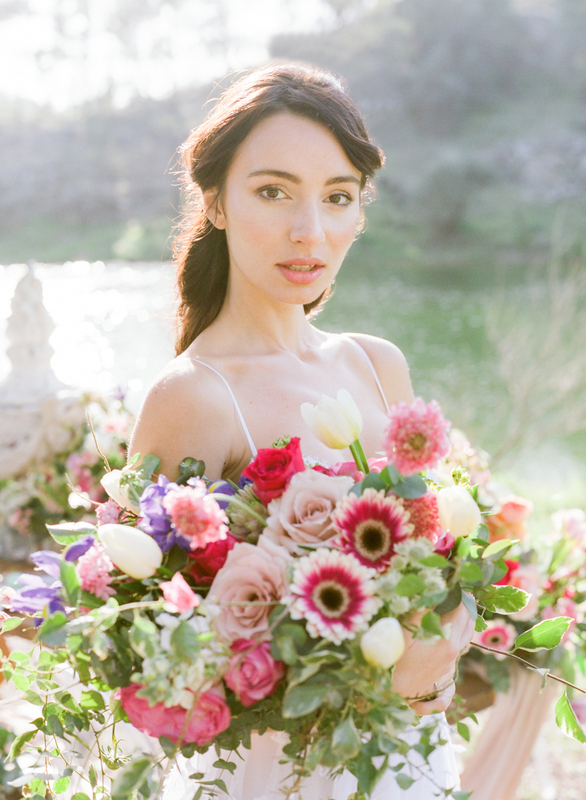 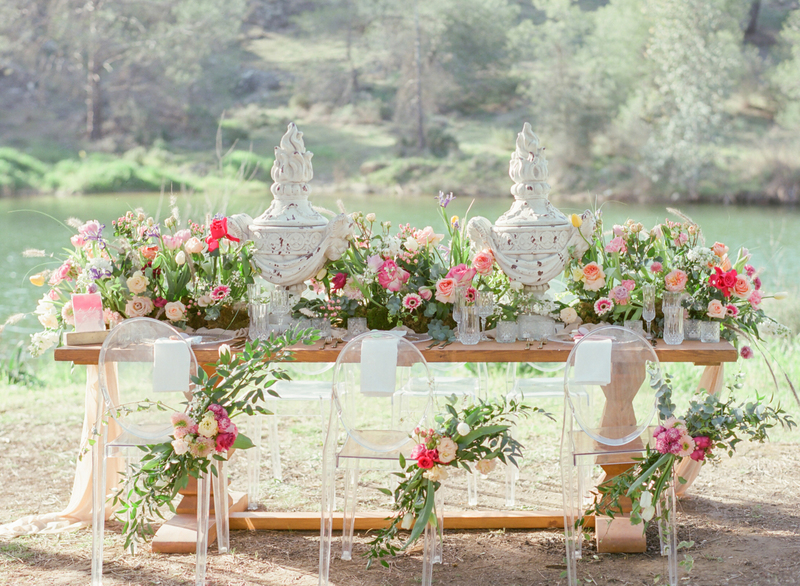 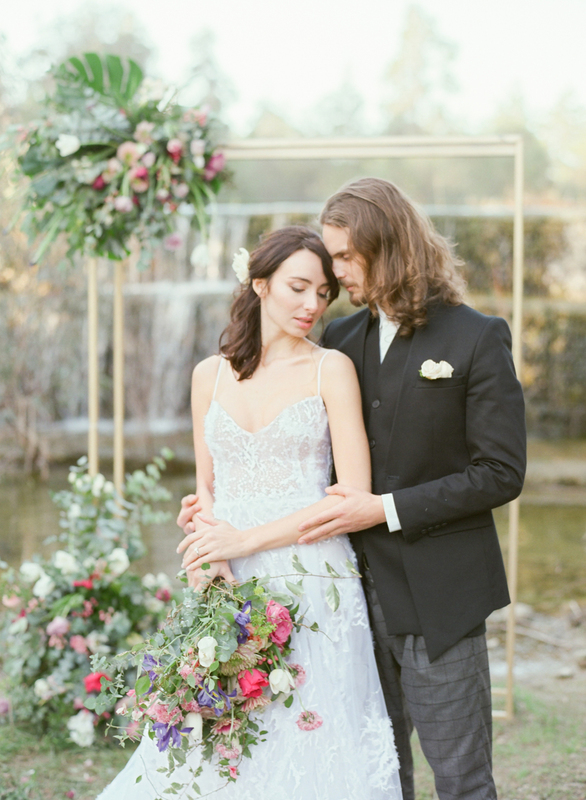 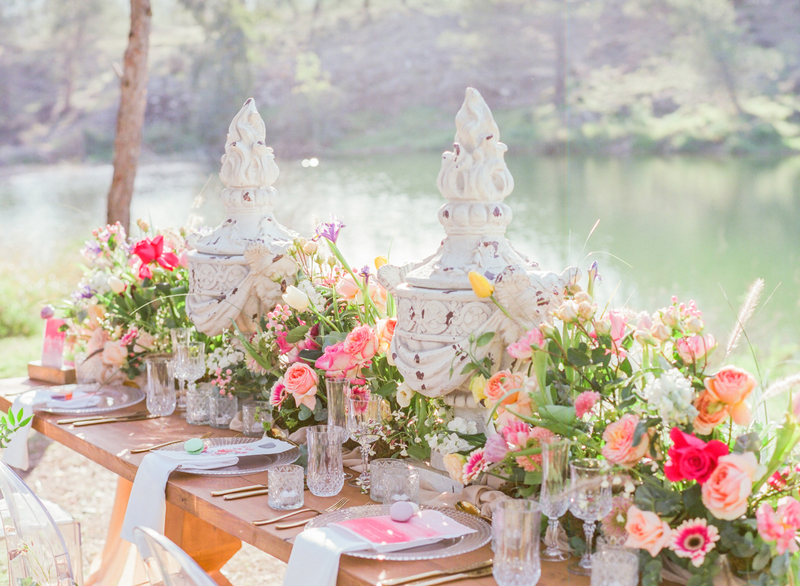 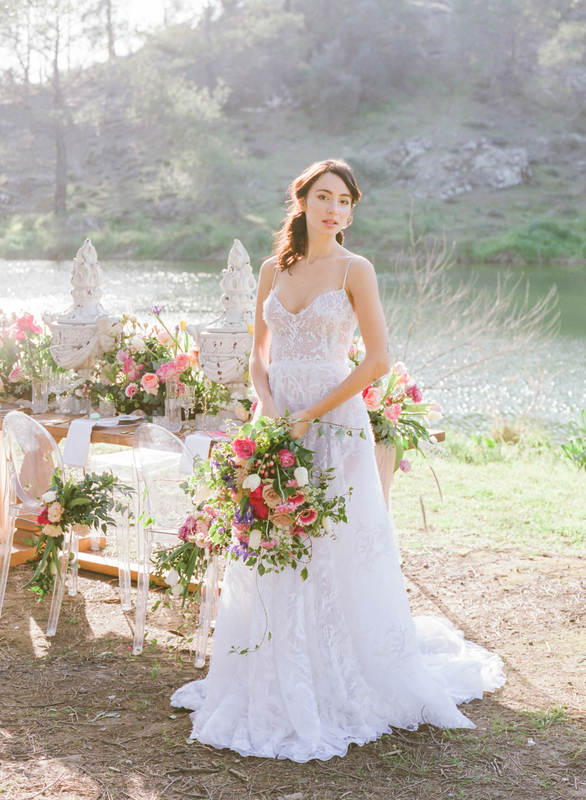 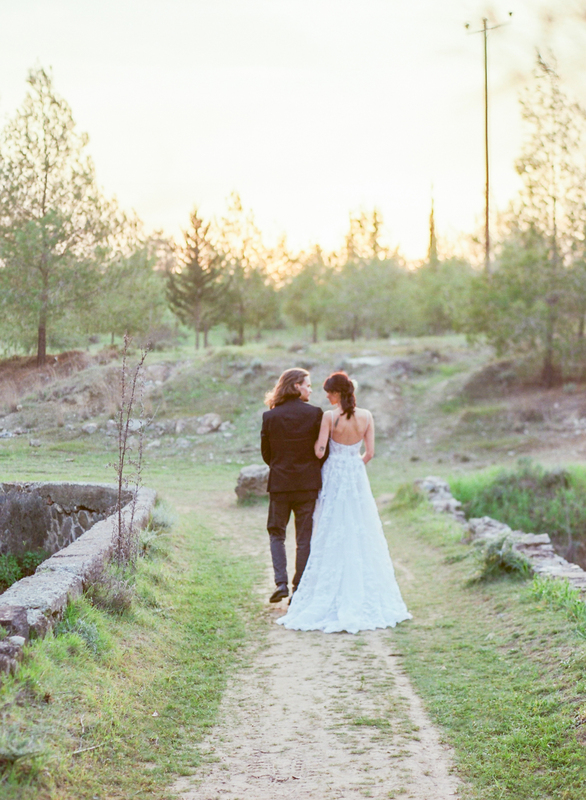 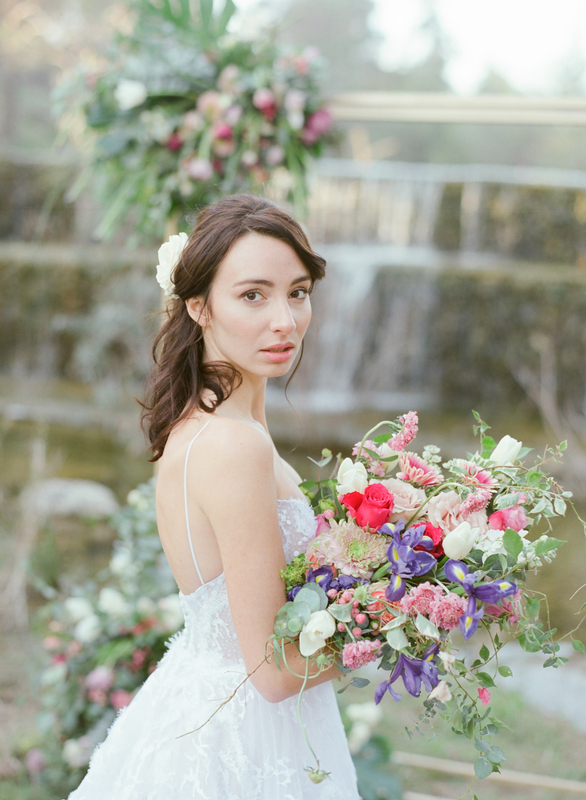 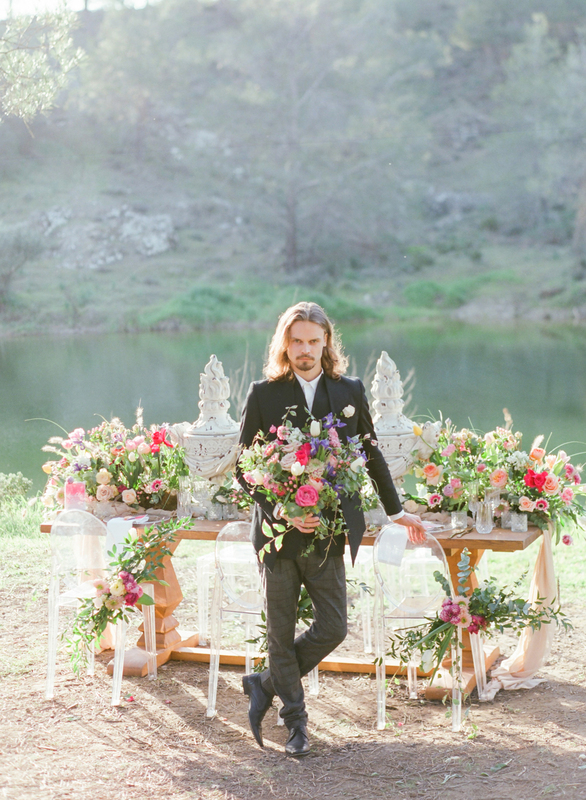 Set by Luciana Event Creations to bring the river, the trees, and the love of two people together in a scene that evokes an ancient Greek celebration, this wedding shoot is naturally beautiful with a sprinkling of magic.